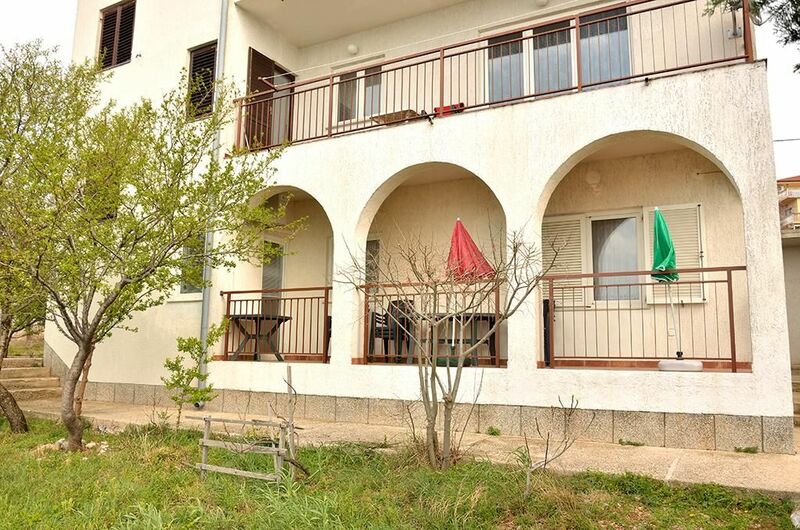 House 11520 in the town of Senj, Senj - Kvarner has accommodation units of type Apartment (1) and is 500 m away from the sea. The nearest beach to this accommodation is a pebble beach. No other guests will be present in the house during your holiday. The hosts also reside in the house. The house owner is under no obligation to accept additional persons and pets that were not stated in the reservation request and it is necessary to report them in advance. Apartment can accommodate 6 guests. Beds are situated in 3 sleeping rooms, within 69m2. Guests can enjoy a sea view from the private balcony. Food can be prepared using barbecue which is shared with other guests too. INCLUDED IN THE PRICE: tourist tax, final cleaning, parking, garage, internet, boat, iron, ironing board, hairdryer, portable barbecue, sunshade. OPTIONAL ADDITIONAL COSTS: air-conditioning (€5.00 per night), laundry (€7.00 washing), additional bed (€10.00 per night). Lovely apartment ,each room has it's own bathroom. Kitchen very well equipped. Walking distance from a small beach and the fortress. The owner came and picked us up in town and showed us the way which was very nice. The registration procedure needs a bit a work. Köszönjük szépen, remek élmény volt. Aggódtunk, hogy milyen lesz ismét apartmanban nyaralni, de felesleges volt. Tiszta, rendezett, jól felszerelt, olyan mint a képeken. A város nincs messze de a visszaút az emelkedők miatt nehéz volt. Wir haben eine Woche in den Herbstferien hier verbracht. Die Aussicht auf das Wasser vom Balkon ist herrlich. Super miejsce, bardzo dobra lokalizacja. Ciekawe miasto. Gorąco polecam. Lokalizacja super, warunki bardzo dobre, przestronne mieszkanie, mili gospodarze, wszystko super !